Starting a business that fulfills the consumer’s quality towards service and products purchased has more potential in this ever-evolving world. But there are certain pressing issues that should be addressed, in order to make a workplace safe, one of them being workplace safety towards manoeuvring and operating heavy machinery. One of such machinery is Forklift. Read on to know why you must take forklift driving lessons. Canada is a booming country with respect to its business development and growth. With about a thousand businesses opening up every year, there are many numbers of jobs available in Canada, across many industries. According to a report from the Canadian Government, there were precisely 1,107,504 business registered in the country, in 2013. This is a huge number. Many of these companies fall under providing supply chain services. A machine that is most frequently used in these industries, is Forklift. 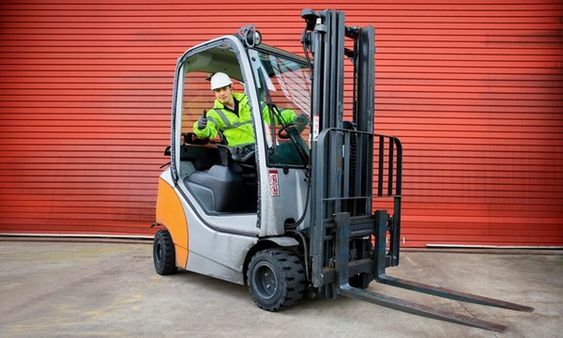 Forklifts were manufactured with the purpose to make lifting and moving the products or goods, efficiently without any damage to the employees or the property. First developed in 1906, Forklift has seen some great transformations, making it easier for the workers to operate. With a growing number of machinery employed in the supply chain and other sectors, it has become mandatory for the business to provide its employees with appropriate workplace safety guidelines and training. This rule is introduced by the Ministry of Labour to ascertain the safety of the working class. Still, there are many workplace mishaps that revolve around with the operations of a forklift. Forklifts are considered to be among the most powerful machinery that can easily cause an injury, damage or in extreme cases, loss of life. Do not be deceived by its compact size, it can easily carry 2500 kgs, other than its counterbalance. The counterbalance helps the forklift to swiftly pick up the weight, without toppling. Forklifts have become the fundamental machinery for many businesses across Canada for its great ability to move quantities and stacks of products and goods around. In order to keep using the forklift and avoid mishaps, we need to address the two major causes of these problems. Behind these reasons, lay one inducing factor, lack of proper training and education which creates a problem for themselves, later. The training and forklift license not only help the potential operator to understand the working of the forklift but can also educate them more on safe utilization, maintenance and repairs. With the Ministry of Labour making the training to use forklift mandatory, we can expect the number of accidents involving a forklift to decrease over a period of time. Currently, many warehouses are creating better-designed workspaces to let the forklift operators perform their tasks swiftly. This can thus help to reduce stress and injury. Companies should employ more resources towards developing a workspace that can help keep their warehouses and work areas fully-functional and well-organized while securing their employees’ safety. If you are looking for a job in the ever-going industry of supply chain, then do consider the job of Forklift Operator and get necessary forklift license for the same. Forklift Training: The Forklift License For Canada! There are many courses related to Forklift Training, that acts like a Forklift license, as no license per se is required to operate one. The courses vary depending on the size of the forklift. Forklift License will make you open to the possibilities of one of the better-paying jobs in Canada. So, it is important to learn from the expert in providing driving lessons in Toronto and GTA. Trust S&A Sprint Driving School Inc. to provide you required assistance towards acquiring your Forklift Training, a.k.a., Forklift License, to have a smooth learning experience. Call us at 416 222 4190 or drop us a mail on info@sprintdriving.com in case of any queries or questions. We are always ready to help!